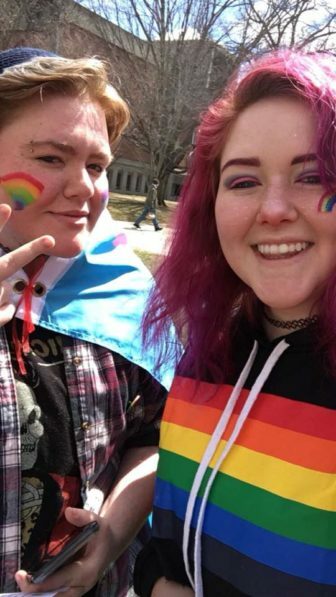 Here at Keene State College, KSC Pride has had an annual tradition for at least the four years I’ve been here, and possibly even before. 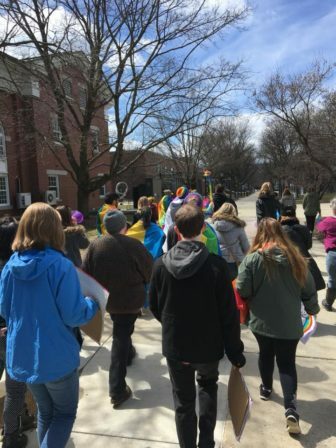 Every April we hold our Pride Parade which usually involves marching in downtown Keene. I think the significance of a Pride Parade mirrors that of the Pride Prom we hold in the fall. 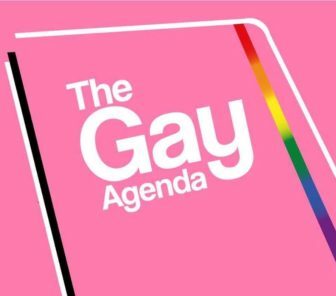 When we think about having Pride we often want to highlight that who we are is just as valid as anyone else, and these events grant us the visibility and spotlight to show that. 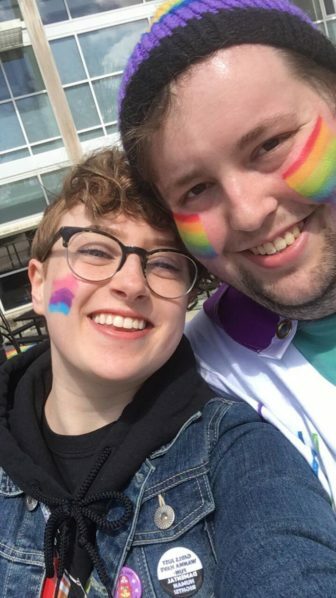 Alex Hess took this photo with Sam Whitaker at the Pride Parade at Keene State College on Saturday. very clear what we want. Equality, to be clear. In addition to being an important part of showing our campus our commitment to Pride, it is also a stepping stone in which we pass the torch to the next generation. As I am a senior and graduating this year, I symbolically passed the torch to next year’s president. This was done for me as well when the president before me graduated. The parade is such a happy and colorful event that means so much to us about progress and equality, but it all hails the end of an “era.” As my time draws to a close, others are given the chance to step up and become leaders in their own right, and without me. Paige Mickiwiecz photo with Ben Russell. I sincerely hope that the future will hold many more Pride Parades at KSC. Being there is such a positive and empowering thing. We dance and march and chant for a better world and a better community on campus. In the face of adversity, our pride does not waver, does not falter. We are as proud as ever, and I don’t mind dancing like nobody’s watching, because I do know they are watching. The ones who need to see our pride openly, they may not realize what they are absorbing, but some small part of it is being imparted to them. Whether it is our bravery or the mere fact that we are there, who knows. But it matters that we don’t ever stop. 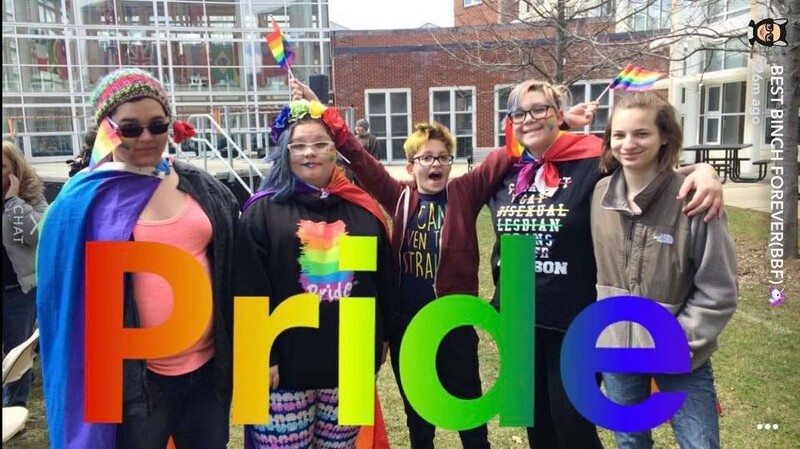 Pride parade on Saturday at Keene State College.